Does there ever come a point when we're allowed to openly discuss the ideology that leads to these daily atrocities? 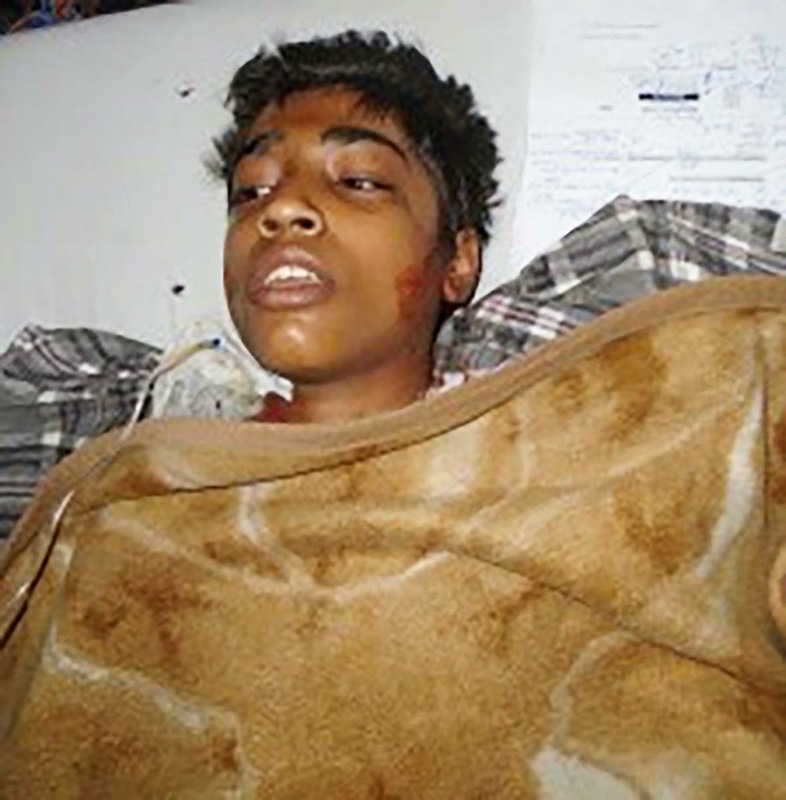 Christian Post—The 15-year-old Pakistani Christian boy who was beaten and set on fire by two Muslim men last Friday after answering truthfully if he was a Christian, died Wednesday morning due to burns inflicted during the attack. According to prominent Pakistani human rights attorney Sardar Mushtaq Gill, the young boy, Nouman Masih, was walking on his way to a cloth stitching job when he was approached by two Muslim men. After answering when asked by the men whether he was a Muslim or Christian, the men beat him, chased him down, doused him in kerosene and set him on fire when he told them that he was a Christian. Doctors ruled that Masih's body was 55 percent burned. Although doctors thought Masih might be able to survive his burns, Gill told The Christian Post on Wednesday that the hospital did not have the burn treatment facilities needed to treat the severity of Masih's wounds. this is the great delusion that they will be handed over too. "islam is a religion of peace" our leaders are blind because they have chosen to be! What a news, burnt a teenage boy because of Christian. The young boy, Nouman Masih, before die ask for forgiveness of his killer but wanted justice. May his soul rest in peace with Lord Jesus! May Christians in Pakistan get strength from God to keep their trust on Jesus Christ! When will conscientious of good Muslims wake up to fight against devil? Don’t good Muslims know, what teenage boy can do harm to their faith? Why don’t then they come forward with strong protest to stop violence by the name of their Allah? This is clearly acts of devil and if good Muslims don’t fight against evil works, they are fighting for evil ISIS to establish reign of terror to bring evil laws. It is hopeless to say Islam, as religion of Peace. UNO became a backbone less organization. It cannot protect history of civilization as well as innocent life. I hope you are fine as well as your family. I have a simple question for all muslims: Why do muslims from all the corners of this world behave act the same way? Where do they get the ideas from? Is that just a coincidence? GOD BLESS YOU ALL IN THE NAME OF YESHUA AMEN. Your question should be posed to people like Barack Obama, David Cameron and other world leaders who keep telling us Islam is a religion of peace. And...while not ALL Muslims behave in the same way (please watch David's Jihad Triangle video to see why some Muslims are still genuinely peaceful), I get where you are coming from. Is it a coincidence that almost all terrorists call themselves Muslims? No. Is it a coincidence we are always discussing/debating whether Islam (and not any other religion) is a religion of peace? No. Where do they get these violent ideas from? I think you can answer that very well too. Rest in peace our brother in Chrits, Nouman Masih. You have been faithful till the end. While many Christians are killed because they are followers of Christ, many moslems kill because they follow mohamad and islam.